Not long ago, we spoke to a 73-year-old man who had recently retired. During a routine checkup, he was found to have an irregular pulse. An electrocardiogram showed that he had atrial fibrillation, and a Holter monitor revealed that he had numerous episodes of the arrhythmia, although he was asymptomatic. A cardiologist explained to him that atrial fibrillation could cause clots to form in his heart that might break off, go to his brain, and cause a stroke. Because he had no risk factors for cardiovascular disease, the physician told him that the chance of stroke was low. Nonetheless, the doctor recommended anticoagulation to prevent a stroke. The doctor further explained that hemorrhage was the primary side effect of this treatment. The patient was familiar with this complication, since he was friendly with a neighbor who had been on an anticoagulant and suffered a life-threatening gastrointestinal hemorrhage. The patient told us that his mind moved back and forth between imagining a debilitating stroke and recalling the story of his neighbor nearly bleeding to death. He was caught in what psychologists term “decisional conflict,” uncertain which option to choose. When making medical choices, many patients enter this distressing psychological state. Every treatment has both risks and benefits. Medications like anticoagulants can be lifesaving by preventing embolic strokes but also life-threatening by predisposing to massive hemorrhage, including within the brain. Mary Francis Luce, a researcher on decision-making at Duke University, has studied decisional conflict in depth. People try to cope with decisional conflict in different ways. One strategy is termed by Luce “vigilant decision making.” She found that some patients seek to mitigate the “emotional costs” of making difficult decisions by directly and repeatedly “attacking” the complexity of the choices they face, and this is what our patient did. Like many patients, he repeatedly searched on the Internet, seeking information about atrial fibrillation and its treatment options. He discovered that there is disagreement among experts regarding risk scores and treatment recommendations. This lack of consensus only served to increase his sense of decisional conflict. Differences in weighing risks and benefits occur not only between experts, but also between patients and doctors. Researchers at Dalhousie University in Nova Scotia interviewed 60 physicians who were treating patients with atrial fibrillation. They also interviewed a similar number of patients who did not have atrial fibrillation but were at high risk of developing this arrhythmia. Each doctor and each patient was asked to consider treatment options for a theoretical group of patients who had atrial fibrillation. The options included no therapy, the antiplatelet agent aspirin, or anticoagulation with warfarin. Both the doctors and the patients were presented with the same data about the chances of stroke and bleeding for each option and then were asked if the treatment was justified. Notably, in this study, the patients placed significantly more value on avoiding a stroke, while the physicians placed more value on avoiding bleeding. The study's results were published in the Nov. 21, 2001 BMJ. Although there was no information from the Dalhousie researchers about why the doctors valued the risks and benefits of each treatment differently from the patients, we hypothesize that this may reflect the phenomenon called “loss aversion.” Research in cognitive psychology has shown that individuals experience potential loss more deeply than potential gain. The result of an active intervention, such as prescribing an anticoagulant that results in hemorrhage, would be felt more deeply by the physician than an outcome where the doctor did not intervene. A notable result from this research was that patients who were given detailed numerical information chose what the Ottawa researchers termed “extremes” of treatment. More patients opted for either the potent anticoagulant warfarin or no treatment at all rather than the middle-ground option, aspirin. More precise and understandable clinical information brought out greater individual differences in patient preferences. The study's results were published in the September 2002 Health Expectations. It is often assumed that the more people understand about the risks and benefits of a treatment, the more they will conform to what “experts” believe is “best.” Yet this was not the case in this study about atrial fibrillation. Similarly, in other studies about treatment choices, including statin medication for hypercholesterolemia and antihypertensive drugs for elevated blood pressure, the more patients understood about risks and benefits, the greater the diversity of their preferences. Soon after our patient's diagnosis of atrial fibrillation, a new treatment option was approved by the Food and Drug Administration. His cardiologist explained that there were advantages to treatment with this new drug, dabigatran, specifically a fixed dose and no need for regular blood testing. The patient had seen advertisements for this medication, which are widely shown on television, in magazines and on the Internet. Marketed under the trade name Pradaxa, dabigatran is presented in the ads as “progress,” and is stated to be 35% more effective than warfarin in preventing stroke. Framed this way, the benefit of dabigatran appears quite large. But this relative risk reduction needs to be put into perspective using absolute numbers. In the RE-LY trial, which was published in the Sept. 17, 2009 New England Journal of Medicine, the warfarin-treated group had a rate of stroke of 1.7% per year, while the dabigatran-treated group had a rate of stroke of 1.1% per year. The difference between these two numbers is 0.6%, which is a 35% decrease in stroke incidence. But the absolute numbers do not have nearly the same impact as the relative numbers. 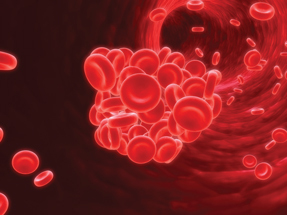 While hemorrhage is listed as a side effect in the dabigatran television advertisements, two important and unresolved issues are not. The first is the lack of an antidote; there is no known way to reverse anticoagulation in the face of a hemorrhage with dabigatran, while there are well-established methods to reverse anticoagulation due to warfarin. Secondly, there is controversy about whether patients receiving dabigatran have an increased risk of myocardial infarction. The RE-LY trial noted a trend toward more myocardial infarctions with dabigatran, but it did not reach statistical significance; a subsequent meta-analysis concluded that there is a significantly increased risk of heart attack. So, the debate continues. “Availability” is a term used by cognitive psychologists to describe how an easily remembered story can skew the perception of the likelihood of a similar event. In the case of our patient, the story was the major hemorrhage suffered by his friend. Another patient may have a relative with atrial fibrillation who had a stroke. 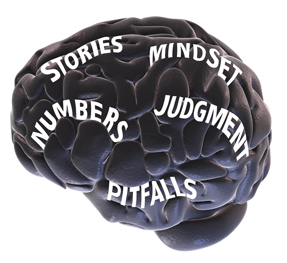 Both patients and physicians can be heavily influenced by availability bias, and it is key to put stories into numerical context. In this case, the relevant numbers include the frequency of stroke versus a significant hemorrhage with the various treatment options of aspirin, warfarin, dabigatran or no treatment at all. But despite looking at the same numbers, individual patients weigh the risks and benefits differently, drawing on their personal approach to health and tolerance for known and unknown risks. There is no one right answer for every patient. As physicians, we develop a general approach to a variety of conditions melding scientific evidence with our own preferences. Our recommendations to patients reflect this. When counseling our patients, we should provide understandable and accurate information, including a discussion of issues that are still unsettled about a therapy. But it is essential to realize that even after hearing and understanding all the information, the patient may not have the same preference as the doctor. When decisional conflict is ultimately resolved, the patient's choice may not match the physician's recommendation. As it is the patient who ultimately benefits from a treatment or suffers the consequences of its adverse effects, it is the patient who should make the final decision. Connolly SJ, Ezekowitz MD, Yusuf F, et al. Dabigatran versus warfarin in patients with atrial fibrillation. N Engl J Med. 2009;361:1139-1151. Devereaux PJ, Anderson DR, Gardner MJ, et al. Differences between perspectives of physicians and patients on anticoagulation in patients with atrial fibrillation: observational study. BMJ. 2001;323:1218-1222. Gage BF. Can we rely on RE-LY? N Engl J Med. 2009;361:1200-1202. Groopman J, Hartzband P. Your Medical Mind: How to Decide What Is Right for You. New York: Penguin Press; 2011. Hartzband P, Groopman JE. Untangling the Web Patients, doctors, and the Internet. N Engl J Med. 2010;362:1063-1066. Kahneman D, Knetsch JL, Thaler RH. The endowment effect, loss aversion, and status quo bias. The Journal of Economic Perspectives. 1991;5:193-206. Luce MF. Decision making as coping. Health Psychol. 2005;24: S23-S28. Man-Son-Hing M, O’Connor AM, Drake E, et al. The effect of qualitative vs quantitative presentation of probability estimates on patient decision-making: a randomized trial. Health Expect. 2002;5:246-255. New analyses differ on whether dabigatran raises MI risk. ACP InternistWeekly, accessed March 1, 2012.